When you arrive at Areli Sarah Castillo’s house in Pescadero on a late summer afternoon, the look and feel of the front of her house is very similar to that of her neighbors: there’s a teenage boy working on his truck in beat to the radio’s tunes; two young girls are playing with dolls on the sofa under a well-placed beach umbrella; and several dogs are enjoying afternoon napping bliss in various poses. There’s nothing to suggest that the Castillo family is at the forefront of a movement to change the eating and health patterns of a town – until you go around back. 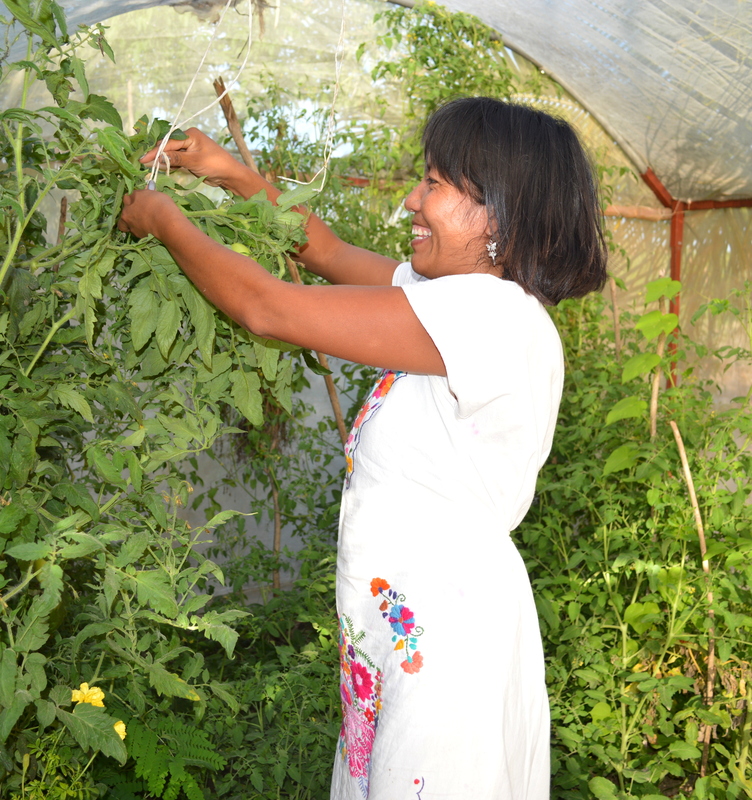 There you find the riot of green and rampant plant life that is the greenhouse built by Areli and her children, and from which they feed the twelve people who now call their house home. Beautiful long vines of tomatoes, steamy-looking chiles, delightfully prickly pineapples, all manner of herbs and spices, all lovingly cared for in a space next to the chicken coop where the happy, well-cared for hens oblige the family with at least 15 eggs a day. All healthy, all organic, all the time. It’s not really what you’d expect from a woman who used to sell hotdogs for a living. 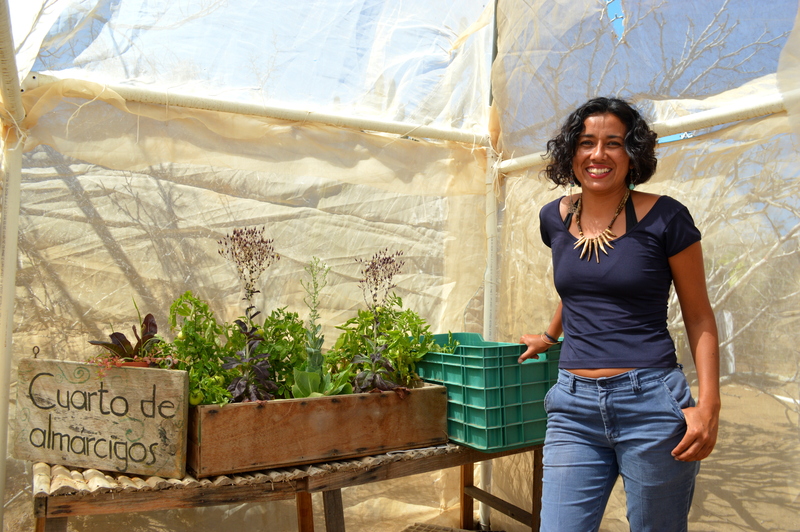 Areli is one of 18 women in the Sistemas Naturales y Desarrollo AC (SINADES) greenhouse program in Pescadero run by Inés Melchor Pantoja, with assistance from her husband, Julio César Rivas García. Inés and Julio, with a grant from Fondo Acción Solidaria AC, or Fasol* , started a community center about five years ago where their first program was teaching the children of Pescadero in accordance with the SINADES motto, “Educar para conservar” – Educate to preserve. Here kids were able to learn about composting, recycling, healthy eating, and growing things. The kids loved the program so much (seriously, we’re playing in dirt here – what’s not to love?) 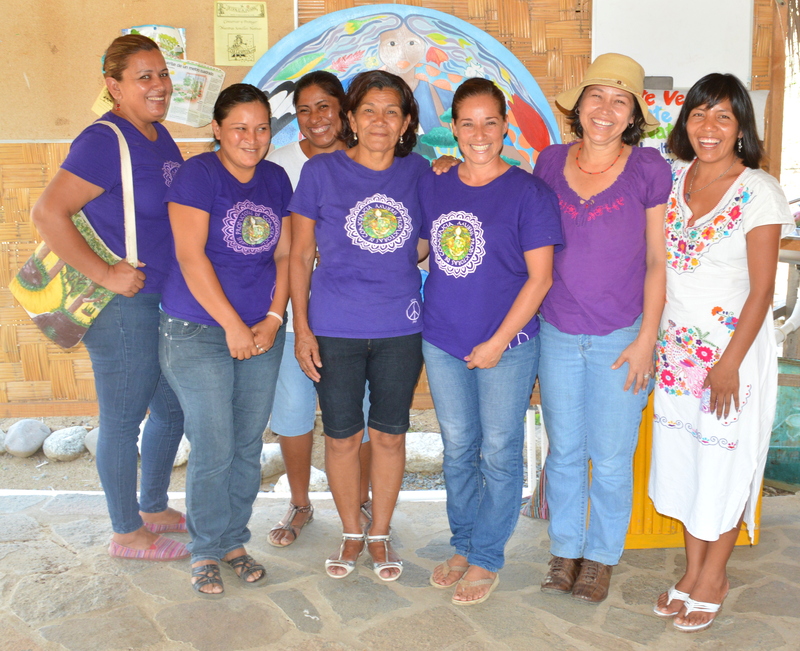 that they wanted to get their parents involved, so Inés and Julio started a pilot program for women in the community called Conscious Cooking. It has transformed the lives of the women and their families. Before the hurricane, there were signs around the Pescadero community center that read “Cue da-temba, nuestra casa”. Cue da-temba means Mother Earth in the language of the Guaycura Indians, the now extinct indigenous people of Baja California Sur. And of course nuestra casa is Spanish for “our home”. 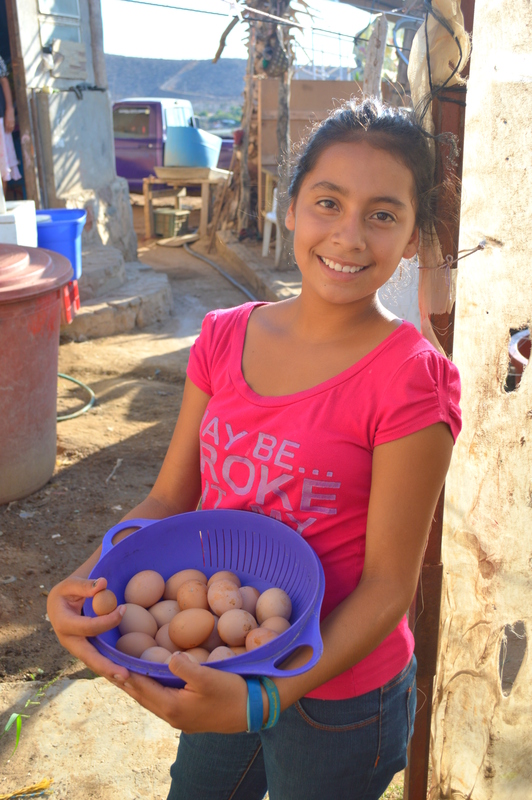 The goal of Inés, Julio and the women and children of SINADES is to create a sustainable and healthy lifestyle for the families in their community. Helping them to do that is really just enlightened self interest because, after all, “Cue da-temba, nuestra casa” applies to us all. Inés can be reached at sinadesacines@gmail.com and the SINADES Facebook page is https://www.facebook.com/SinadesAc. 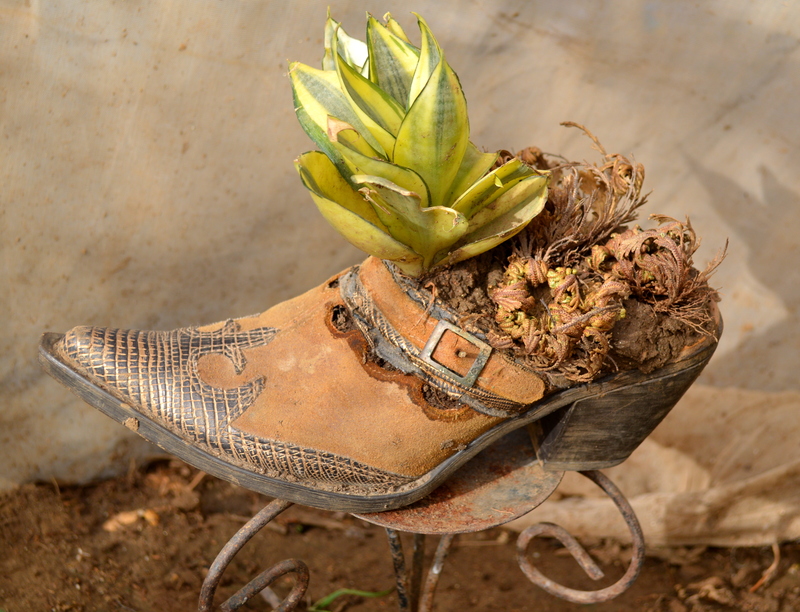 This entry was posted on February 28, 2015 by Todos Santos Eco Adventures in Culture, Food, Plants and tagged Artemisa Castro, FASOL, greenhouse, Ines Melchor, Mexican diets, Pescadero, SINADES.